For a high-end assassin contemplating life changes, friends may be both assets and liabilities. 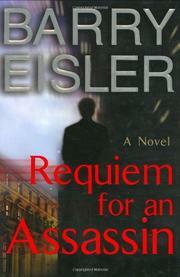 In his sixth John Rain thriller, Eisler (The Last Assassin, 2006, etc.) has let his killer-for-hire protagonist grow emotionally. In terms of his budding romance with Mossad agent Delilah, that’s a plus, although Rain finds his burgeoning sense of peace and relaxation unnerving. Such attachments prove dangerous, as well, when Rain’s associate, Dox, another hit man for hire, is taken hostage. Dox’s captor, former CIA operative Jim Hilger, wants Rain to do three hits for him, each on a deadline and each supposed to look like a natural death, Rain’s specialty. Although Rain rightly suspects a set-up, and that the third hit will be him, his loyalty to Dox, who had saved Rain’s life, draws him in. Killing used to be simply a job, and the fact that the first two hits seem to be innocent family men should be of no consequence. But Delilah has pointed out that Rain has choices, and that his choices have real-world repercussions. So when the half-Japanese Vietnam vet feels his inner killer taking over, he must contemplate what he is giving up, whichever way he chooses. Although this thriller edges the fascinating Rain series closer to its seemingly inevitable end, it is still full of fast, fun fighting and the kind of spycraft that will have readers watching for tails on the street. Action that jumps from Bali to Paris, San Francisco to Saigon, New York to Rotterdam, and that involves not only Rain’s personal quests but also a possible dirty bomb, keep the story moving. A bang-up finale may happen too fast, but the teamwork involved plays up Rain’s crisis. Along with the high-tech gadgetry and low-tech blood and guts, Eisler has also let us into the head of a brilliant and extremely conflicted protagonist.